NYC-based label Young Pals Music’s founder & executive producer Ayhan Sahin. Just in time for Valentine’s Day! But perhaps it’s not what you think. Celebrating the fact that not everyone’s Valentine’s is filled with candy hearts and romantic rose petals is radio-ready single “Since You’ve Been Gone,” a deliciously satisfying opus of post-breakup redemption. Sung by award-winning rock n’roll singer/songwriter and film/Broadway actor David Keeley, the track conjures the timeless ballads of British singer/songwriter Robbie Williams. Released by Young Pals Music, "Since You've Been Gone" is the second single from upcoming album “Pop,” the first solo album from New York City-based songwriter and producer Ayhan Sahin. Meshing organic instrumentation with contemporary production, the 10-track collection launched in January with “New Year’s Eve At Home,” which celebrates the joy of cozying up to a loved one for the holiday. The uptempo song offered full-on country flavor courtesy of vocalist Christi Bauerlee, a Nashville-based singer, actress and model. The album “Pop” features 12+ diverse vocalists and musicians across a myriad of styles, including R&B & soul, dance, jazz, country and of course… pop. All songs are co-written and co-produced by Sahin with hit songwriter Bernadette O’Reilly, who has also worked for three decades in artist relations, management and song placement. Each subsequent month, a new single will be released from “Pop” on all digital platforms, to celebrate an accompanying holiday—featuring a different vocalist among the project’s rich roster of artists. 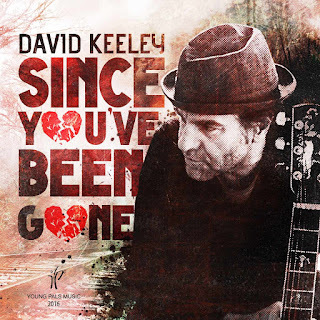 In February, we have Keeley’s “Since You’ve Been Gone,” and in March, “Drink,” featuring vocalist Denny Blake, will raise a glass to St. Patrick’s Day. As a veteran actor who has worked across stage and screen, Keeley starred in the original Broadway production of “Mamma Mia!,” and held the role of evil Evan Anderson in “The Manchurian Candidate,” opposite Meryl Streep and Denzel Washington. He also played “Dad” in Toronto’s stage production of “Billy Elliot,” and has starred in numerous TV shows, including “Due South,” with Paul Gross. The pair ultimately formed a successful rock band in their native Canada. While starring in “Mamma Mia,” Keeley and Sahin found musical kinship in New York, and together, wrote and composed full-length musical "The Conqueror” which tells the story of a family trapped in the Middle East conflict, with original authentic music. All instrumentation for “Since You’ve Been Gone” was recorded live with renowned New York musicians, including Dennis DelGaudio and Gene Blank on guitars, piano & keyboards from Rob Preuss, Mike Sorrentino on drums, and bassist Michael Stanzilis. It was mixed by Sahin and mastered at the famous Sterling Sound in New York.